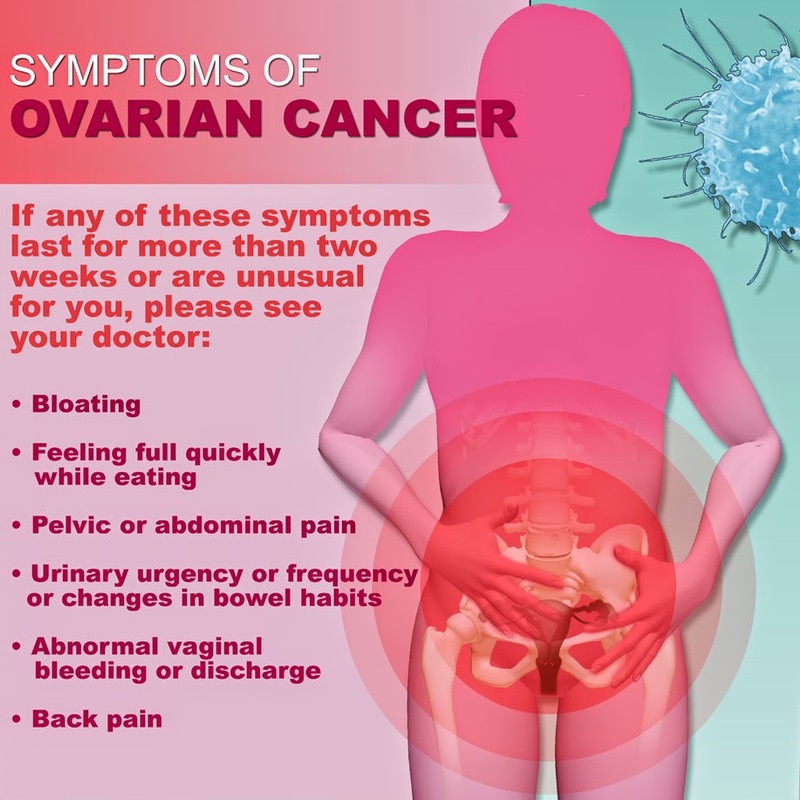 Ovarian cancer is often detected at an advanced stage, which generally results in a poor prognosis. Early diagnosis might be the most important step toward reducing morbidity and mortality, but current diagnostic tests are ineffective for early detection of the disease. Early detection of potentially lethal cancers is a difficult challenge but it holds huge potential for saving lives. To significantly reduce the mortality rate, tests would have to be able to detect tumors less than 1 cm in diameter, according to an analysis published in the July 28 issue of the open-access journal PLoS Medicine. Instead, early-stage serous ovarian tumors are rarely larger than a few millimeters in diameter, and by the time they do actually become clinically apparent, most cancers are more than 200 times larger than the presymptomatic tumors a successful early-detection strategy must detect, they write. Identification of strong genetic risk factors, like the BRCA1 and BRCA2 mutations, can help those women who are at high genetic risk of serous ovarian cancer by giving them the option of prophylactic surgery,” he added. The majority of ovarian-cancer-related deaths in the United States are caused by tumors of the serous histologic type, and these are rarely diagnosed in the early stages of the disease. To reduce mortality by early detection, a better understanding is needed about the natural history of the lesions, so that progression to advanced — and ultimately incurable — disease can be prevented. Dr. Brown and coauthor Chana Palmer, PhD, scientific program director at the Canary Foundation in Palo Alto, California, hypothesized that they could learn about this occult period by examining the unsuspected serous cancers that are occasionally identified in apparently healthy women who undergo prophylactic bilateral salpingo-oophorectomy (PBSO). The authors focused their analysis on women with BRCA1 mutations for the sake of homogeneity; in addition, it allowed them to synthesize and compare data from multiple reports. They conducted a comprehensive analysis of published data that described the frequency and characteristics of occult serous cancers that were identified in women positive for the BRCA1 mutation who underwent PBSO. Ovarian cancer is a complex and rapidly progressive disease that affects a relatively small percentage of women but has poor survival rates. In the United States, the number of deaths attributed to ovarian cancer is about the same as that of all other gynecologic malignancies combined. Unfortunately, the majority (75 percent) of women diagnosed with ovarian carcinoma continue to have advanced stage disease (Stage III/ IV), with widespread metastases throughout the peritoneal cavity, lymph nodes, liver or lungs. Presently less than 20 percent of women with ovarian cancers are detected when the cancer is still confined to the ovary (Stage I). Despite advances in surgical techniques and new biologic-based chemotherapy, the mortality rates of women with ovarian cancer remain poor. Women who are diagnosed with advanced-stage disease have five-year survival rates that range from 0 to 45 percent. However, those women diagnosed with early stage disease (Stages I to II) require less radical operations, have much less surgical morbidity, may not require chemotherapy and have five-year survival rates approximating 90 percent. Therefore, tools and techniques that would allow the paradigm shift from the detection of advanced to early stage ovarian cancer would greatly improve women’s health care. Currently available tests should not be used as a screening modality for healthy women without risk factors for ovarian cancer. However, as was recently pointed out by the U.S. Preventive Services Task Force and the Society for Gynecologic Oncology, this recommendation does not apply to those women deemed to be at high risk for ovarian cancer. In 1999, as part of the National Cancer Institute,s Early Detection Research Network, The Mount Sinai Hospital established the National Ovarian Cancer Early Detection Program, which has now been renamed the VOICE Ovarian Cancer Risk Assessment Program. This program was created for women at increased risk for the development of ovarian cancer by combininggenetics, gynecologic oncology, diagnostic imaging, psychology and molecular biology to optimize women’s health care. Women at risk include those with a personal history of breast, ovarian, colon cancer or a family history of these and other malignancies, all of which may have a genetic basis for inherited cancer. The past and present challenge of screening for cancer is to affect survival, therefore we need tools that detect early rather than advanced stage disease; that is, before the disease is lethal. In the high-risk population, we identify women at risk before they develop cancer and offer prevention via prophylactic operations. Unfortunately, to date no clinically validated blood test(s) or imaging studies exist that allow us to detect early stage ovarian cancer. The Society of Gynecologic Oncology agrees with the USPS task force recommendation not to screen low-risk women for ovarian cancer due to the limitations of our current medical technology. Once we have clinically validated tests that allow the detection of early rather than late-stage ovarian cancer, screening will have value and save women.s lives. Despite advances in surgical techniques and new biologic-based chemotherapy, the mortality rates of women with ovarian cancer remain poor. Women who are diagnosed with advanced-stage disease have five-year survival rates that range from 0 to 45 percent. However, those women diagnosed with early stage disease (Stages I to II) require less radical operations, have much less surgical morbidity, may not require adjuvantchemotherapy and have five-year survival rates approximating 90 percent. Therefore, tools and techniques that would allow the paradigm shift from the detection of advanced to early stage ovarian cancer would greatly improve women’s health care. In 1999, as part of the National Cancer Institute,s Early Detection Research Network, The Mount Sinai Hospital established the National Ovarian Cancer Early Detection Program, which has now been renamed theVOICE Ovarian Cancer Risk Assessment Program. This program was created for women at increased risk for the development of ovarian cancer by combininggenetics, gynecologic oncology, diagnostic imaging, psychology and molecular biology to optimize women,s health care. Women at risk include those with a personal history of breast, ovarian, colon cancer or a family history of these and other malignancies, all of which may have a genetic basis for inherited cancer. The Society of Gynecologic Oncology agrees with the USPS task force recommendation not to screen low-risk women for ovarian cancer due to the limitations of our current medical technology. Once we have clinically validated tests that allow the detection of early rather than late-stage ovarian cancer, screening will have value and save women,s lives.